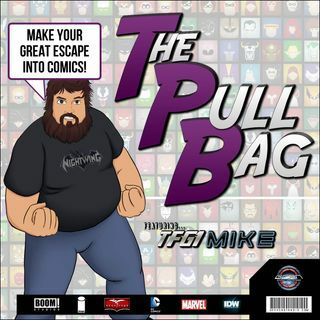 In Episode 305 of The Pull Bag join TFG1Mike and The Comic Concierge MovieRevolt Dan as they head to the year 2085 with Hadrian’s Wall from Kyle Higgins, Alec Siegel, and Rod Reis! Simon is a pill poppin’ detective that needs to solve a locked room murder mystery in space! So join us won’t you as we talk about this trade from Image Comics!!! As always Make Your Great Escape Into Comics!! !